This cultivar has one of the darkest violet colors among the lavandins and is an excellent fresh or dried flower. 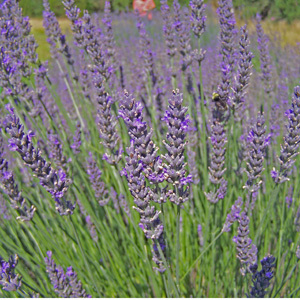 Its neat growth habit and second bloom in autumn make it a great all-around plant and our most popular lavandin. The calyx color is dark violet green; the corolla is violet.